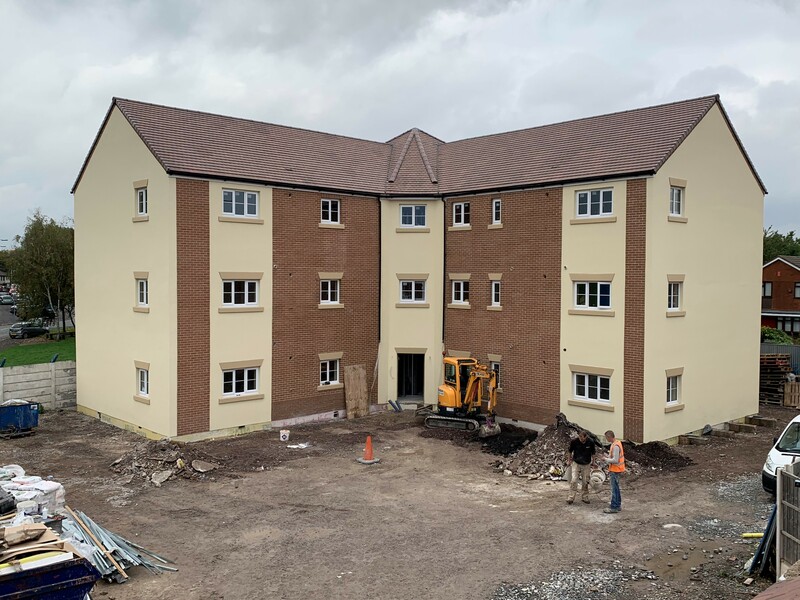 Wrekin Eco Homes set out to build a new apartment block on their site ‘The Oaks’ in Tipton, Wolverhampton whilst using the cutting edge in technologies to allow for future proof homes. The development consists of 32 high-quality Eco friendly homes with the grand finale being the construction of nine spacious apartments in a three-story block. Monolith BrickPlus: Pro was used on this project to speed up the installation time frame whilst matching the bricks used on the other properties to ensure a planning discharge from the council – whilst dropping weeks off the initial build time – and maintaining a traditional appearance. Monolith and Wrekin Eco Homes continue to discuss future key projects where the products can be applied.